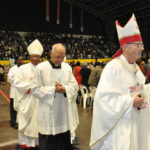 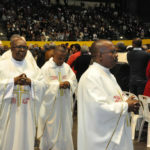 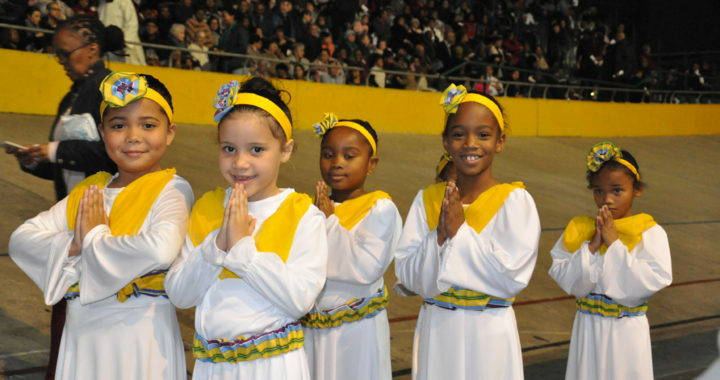 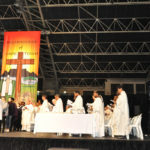 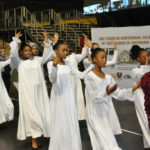 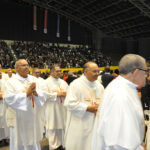 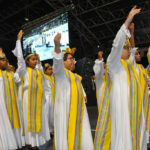 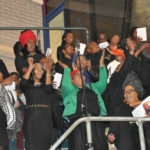 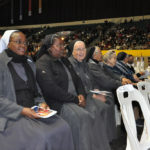 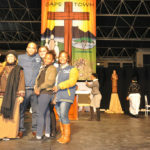 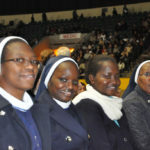 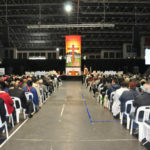 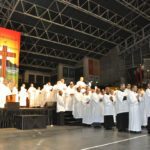 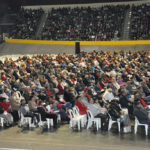 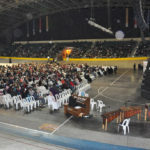 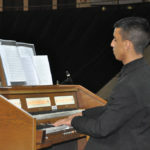 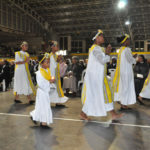 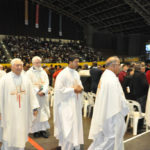 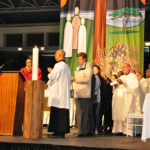 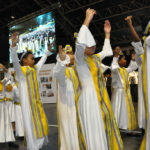 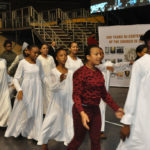 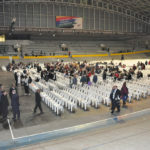 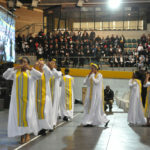 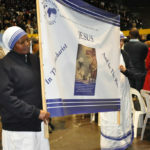 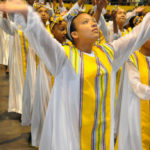 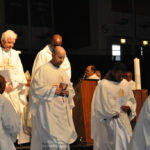 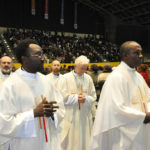 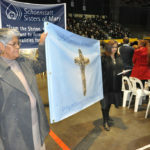 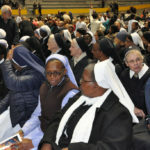 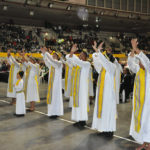 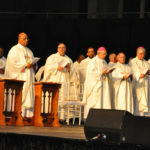 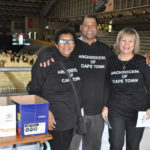 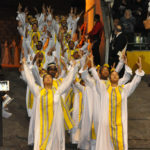 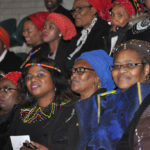 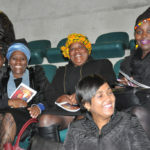 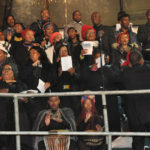 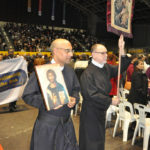 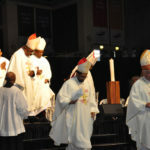 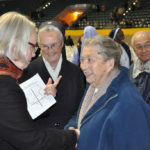 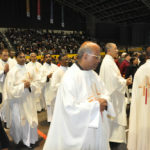 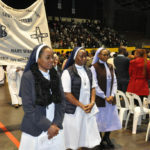 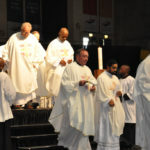 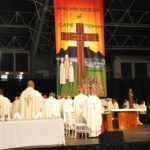 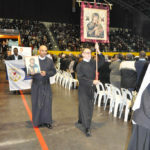 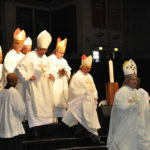 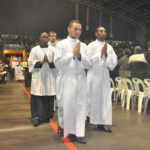 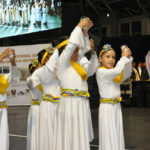 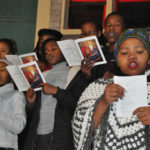 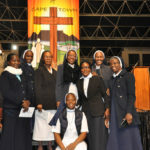 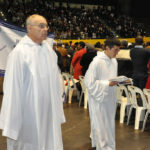 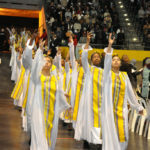 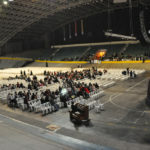 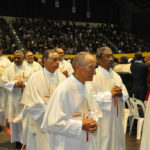 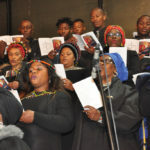 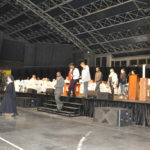 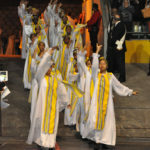 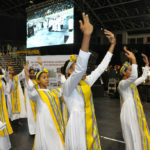 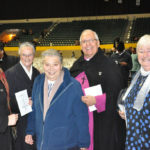 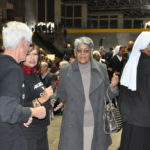 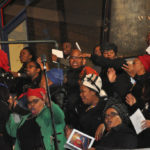 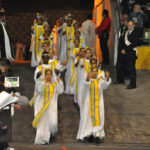 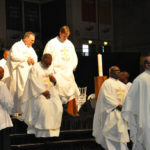 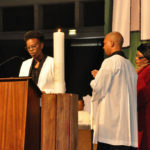 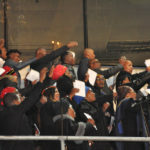 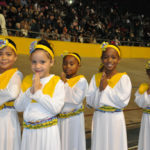 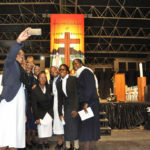 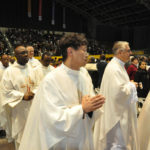 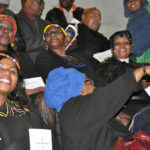 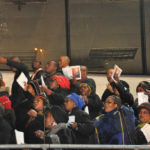 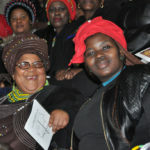 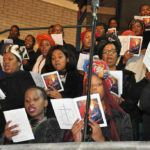 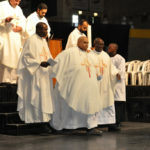 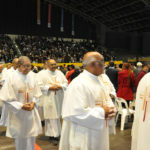 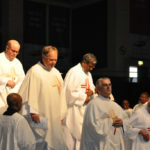 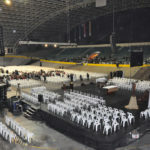 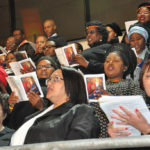 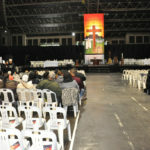 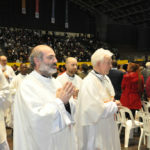 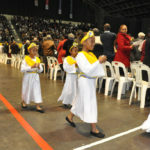 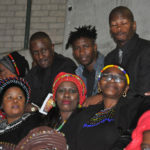 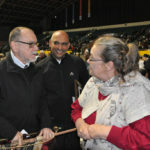 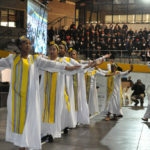 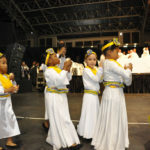 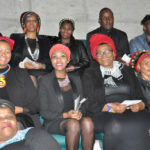 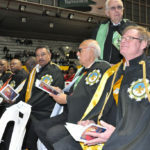 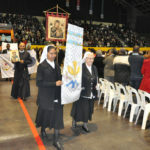 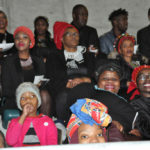 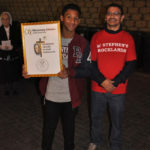 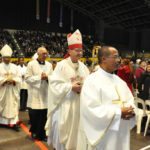 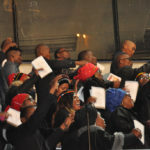 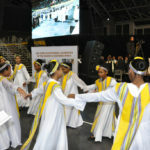 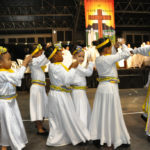 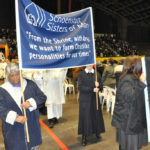 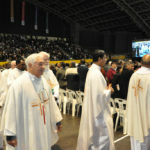 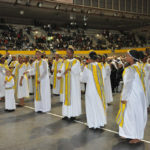 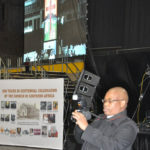 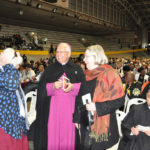 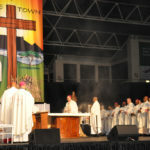 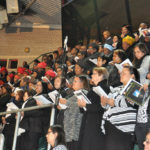 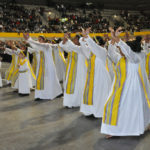 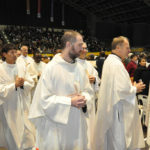 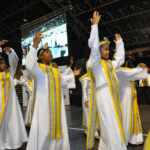 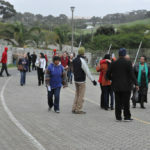 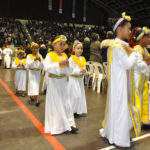 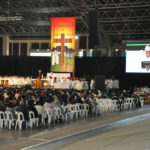 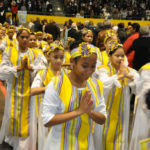 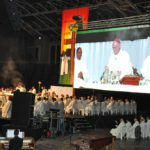 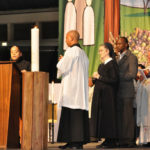 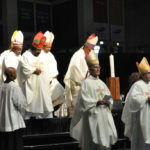 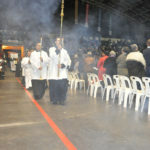 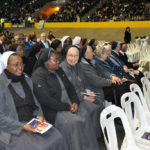 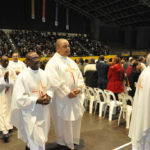 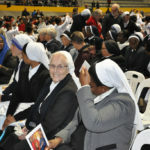 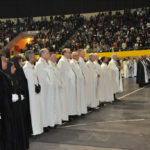 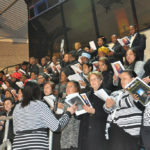 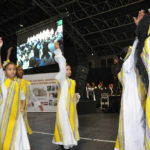 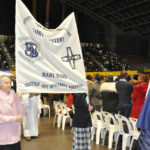 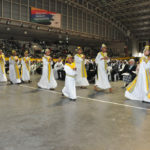 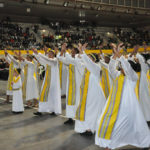 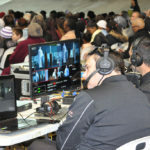 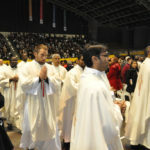 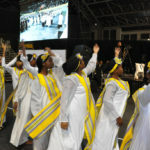 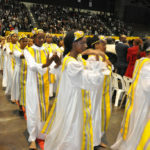 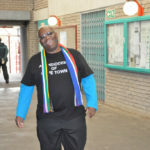 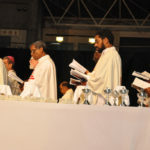 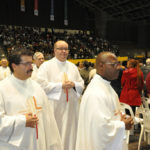 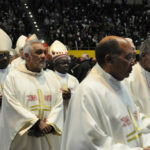 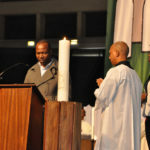 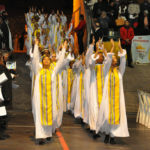 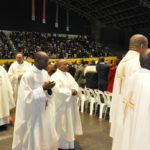 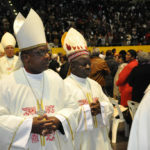 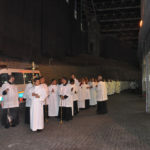 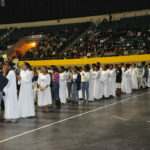 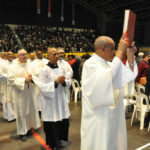 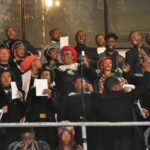 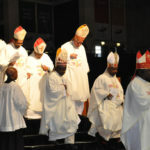 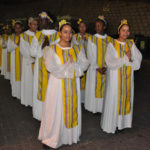 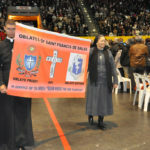 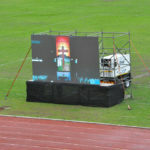 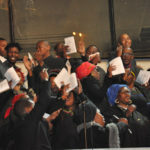 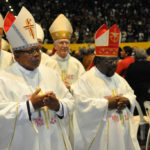 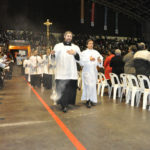 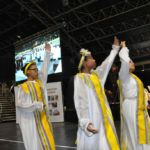 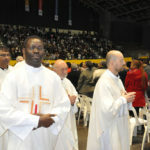 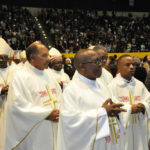 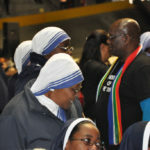 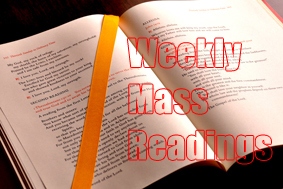 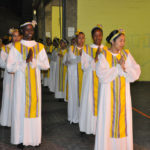 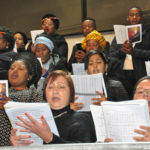 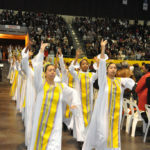 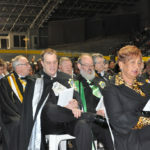 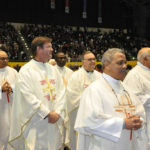 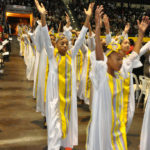 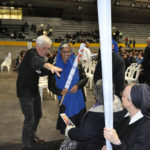 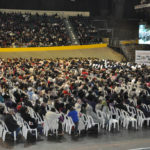 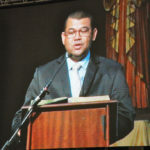 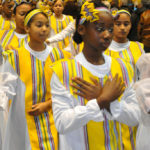 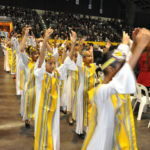 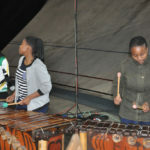 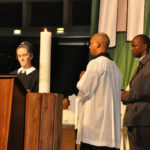 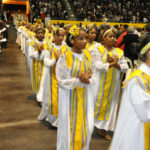 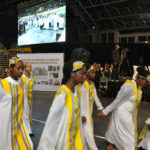 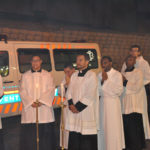 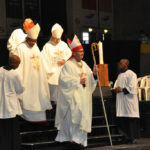 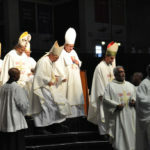 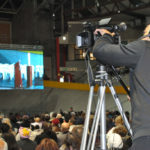 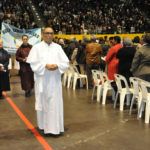 Below see gallery of pics from the bicentennial Mass at the Bellville Velodrome. 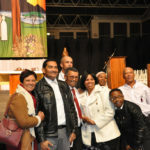 Click on first pic to open the gallery. 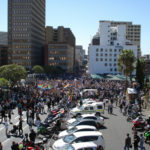 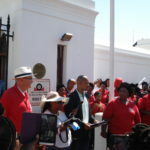 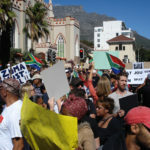 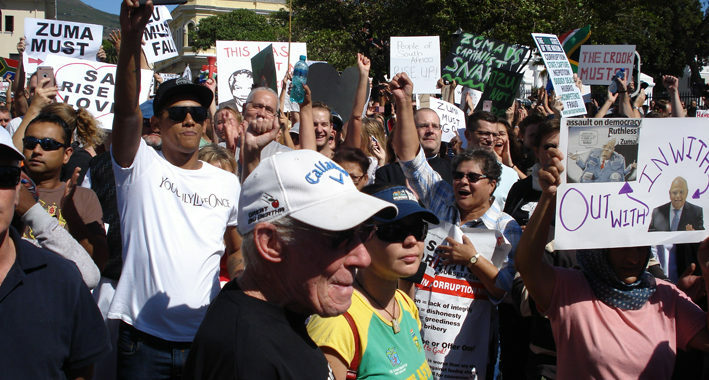 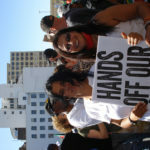 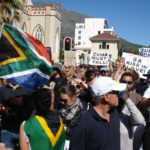 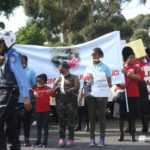 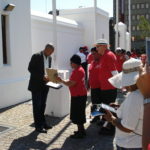 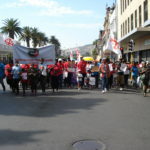 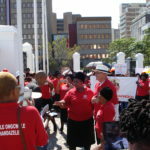 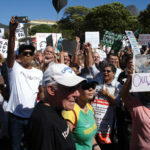 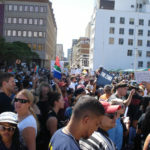 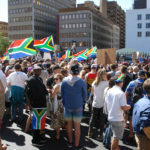 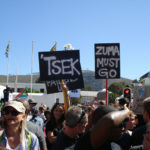 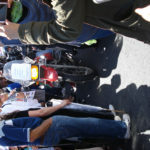 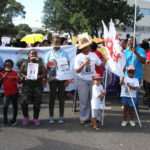 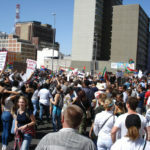 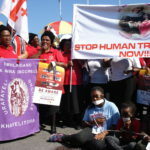 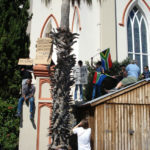 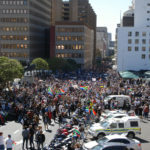 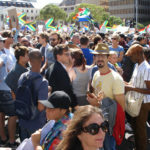 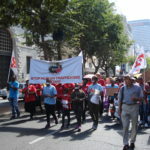 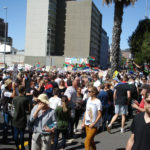 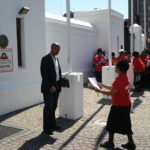 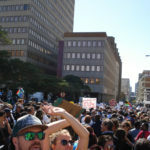 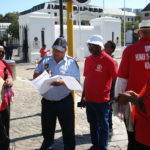 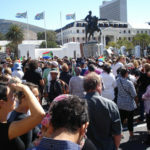 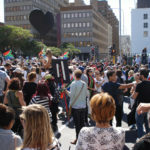 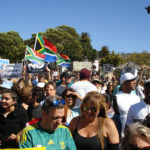 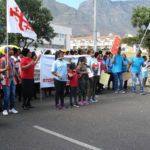 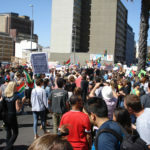 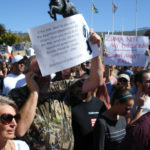 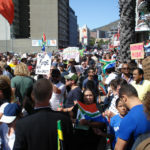 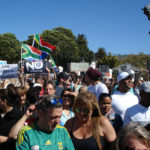 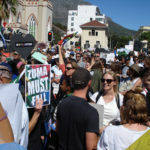 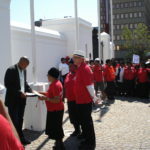 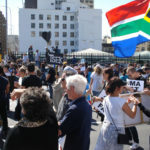 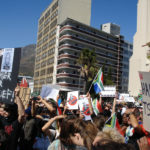 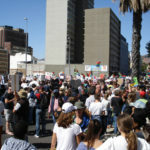 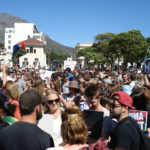 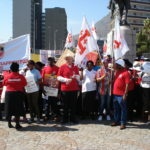 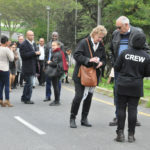 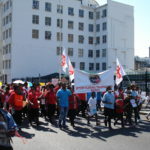 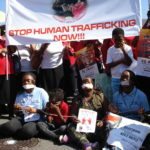 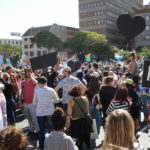 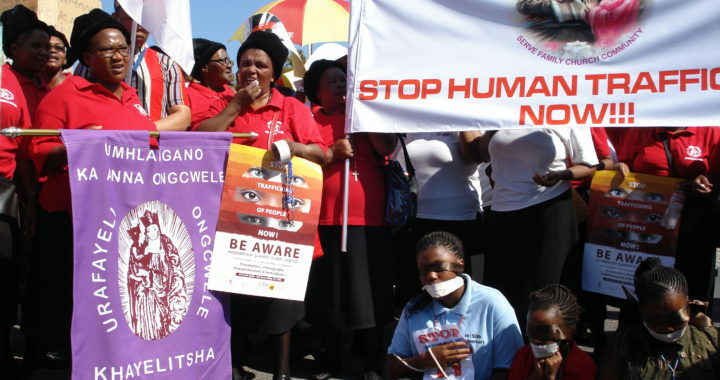 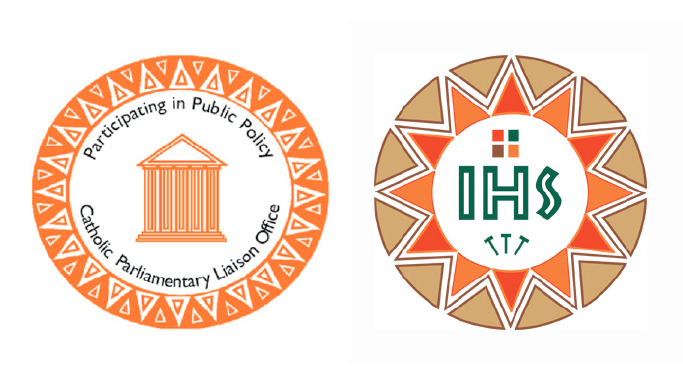 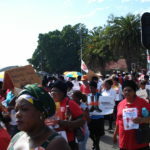 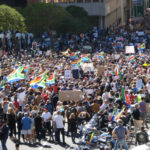 A march protesting Human Trafficking took place yesterday 21 March (Human Rights Day) from Keizersgracht Road to the gates of Parliament in Cape Town, where a memorandum was handed over to a representative of Parliament by Mrs Bernadette Kibe, Secretary of the St Anne’s Sodality. 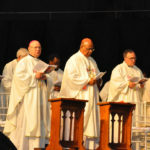 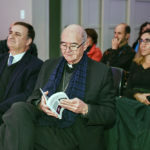 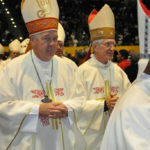 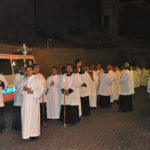 Archbishop Stephen Brislin (as well as several priests) also participated in the march and the Archbishop offered a prayer for the police. 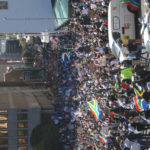 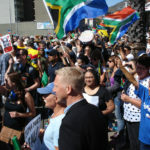 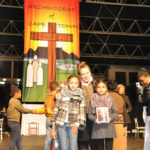 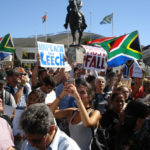 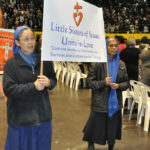 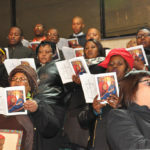 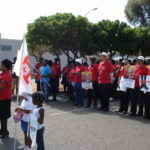 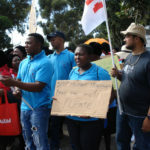 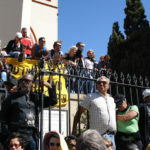 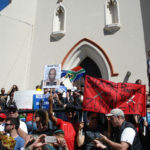 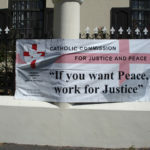 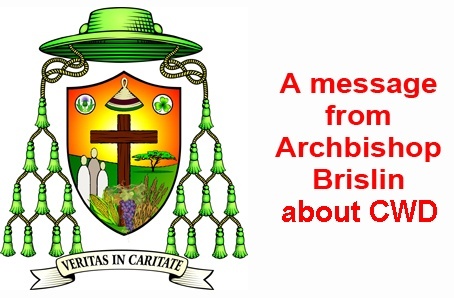 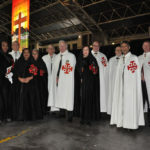 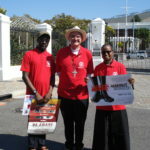 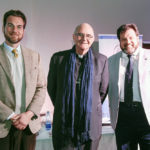 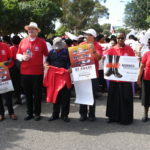 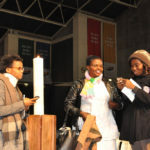 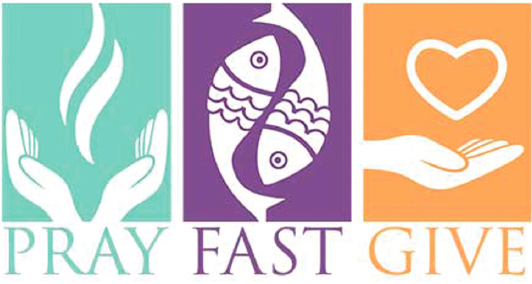 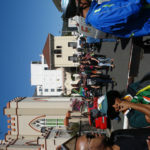 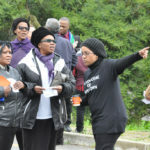 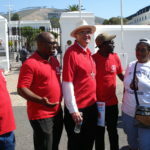 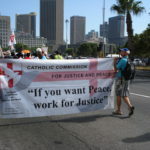 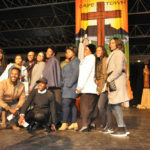 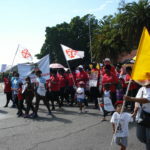 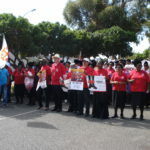 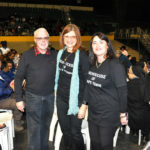 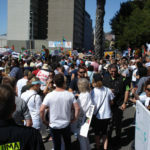 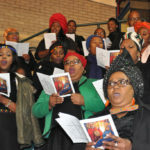 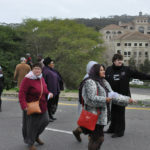 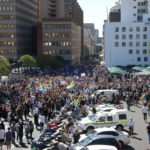 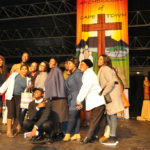 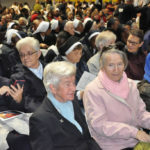 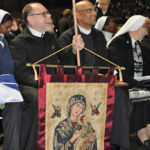 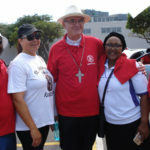 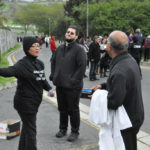 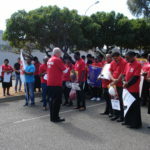 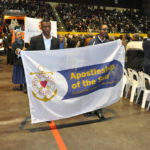 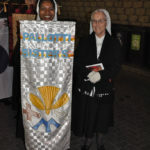 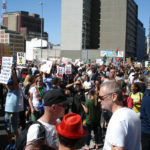 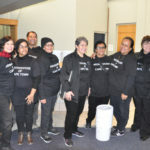 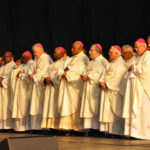 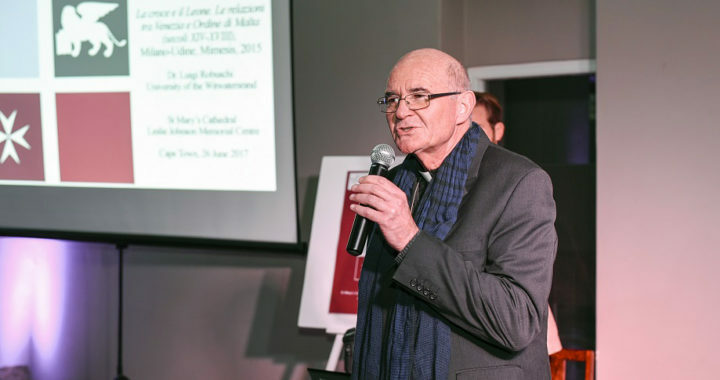 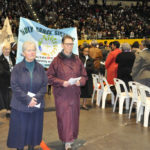 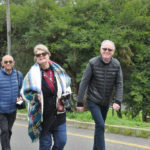 The march was organised by the St Anne’s Sodality of the Archdiocese of Cape Town and Justice & Peace were also represented. 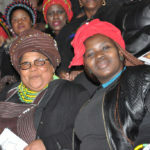 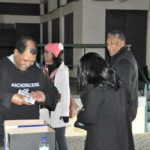 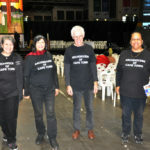 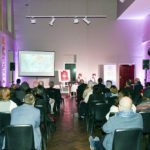 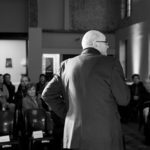 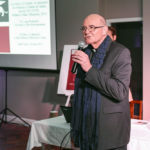 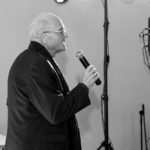 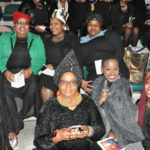 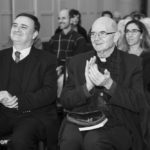 Below are a selection of pics of the event.